That’s right everyone. It’s pool time. No, not swimming pool time–it’s still a tad chilly for that. I’m talking playoff hockey pools. Players will be evaluated and scrutinized, picks will be debated, strategies will be formed and trash talk will be prepared. Ah…. what a fantastic time it will be. There is a wrinkle this year. My team is in the playoffs. That means that loyalty will compete with practicality. When I look league wide, there are players I cannot pick (OttawaSenators for example) because I would rather lose with my guys, than win with the enemy. I do not know how I will fare this year. There are other wrinkles too. Some fantastic players are injured. Will they come back in time? Will there team advance enough to see them return in future rounds? There are so many questions, and if you consult the internet, then you’ll get too many answers. Last year I chose first, and took Sidney Crosby. He and some of my other picks were inspired. Had I chosen better goalies, I would have won the whole thing. Of course, there is a huge amount of luck in the whole endeavour. I can only hope my luck holds out. As a hockey fan, the playoffs are what really matters. I watch every game I can, but the playoffs are what really matter. In the playoffs, heroes emerge, the unbelievable happens, and highlights come fast and furious. I can’t wait. For the city, and province, there will be a large economic benefit. Not just in games played, but in beer drunk and merchandise hawked. I am no economist, but even I can imagine how much money will be generated. Of course increased TV ratings and ad revenue will follow. None of that really matters to me. What matters to me is that my team will be competing for what I consider to be the hardest trophy to win. Other sports might play more games, but none can match the physical toll the game of hockey takes on an athlete. Imagine a two hundred plus pound man, perched precariously on two thin slivers of steel, racing on a slippery surface at high speed being met by other 200 plus pound men wearing state of the art Kevlar body armour. If you can’t respect the toughness of these athletes, there really is nothing I can do for you. 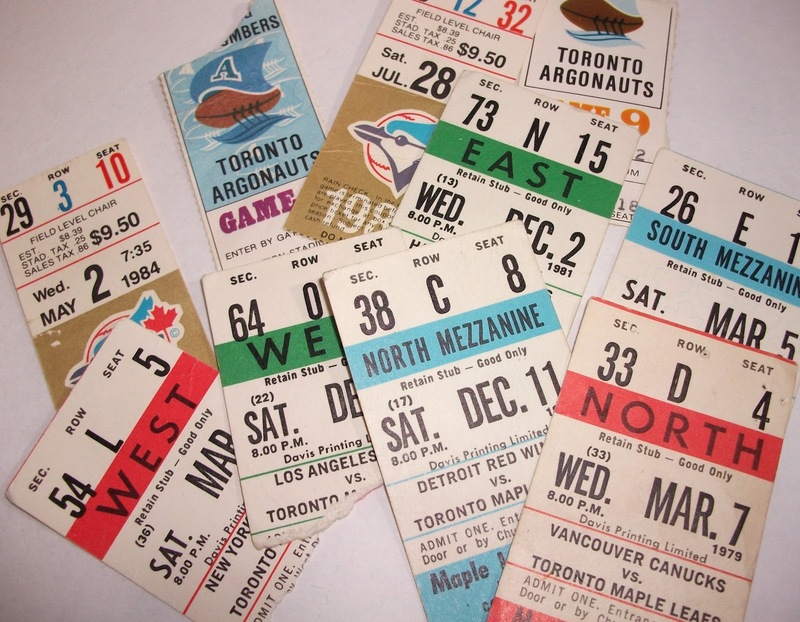 When I was gro wing up, getting to go and see professional sports was always a highlight. 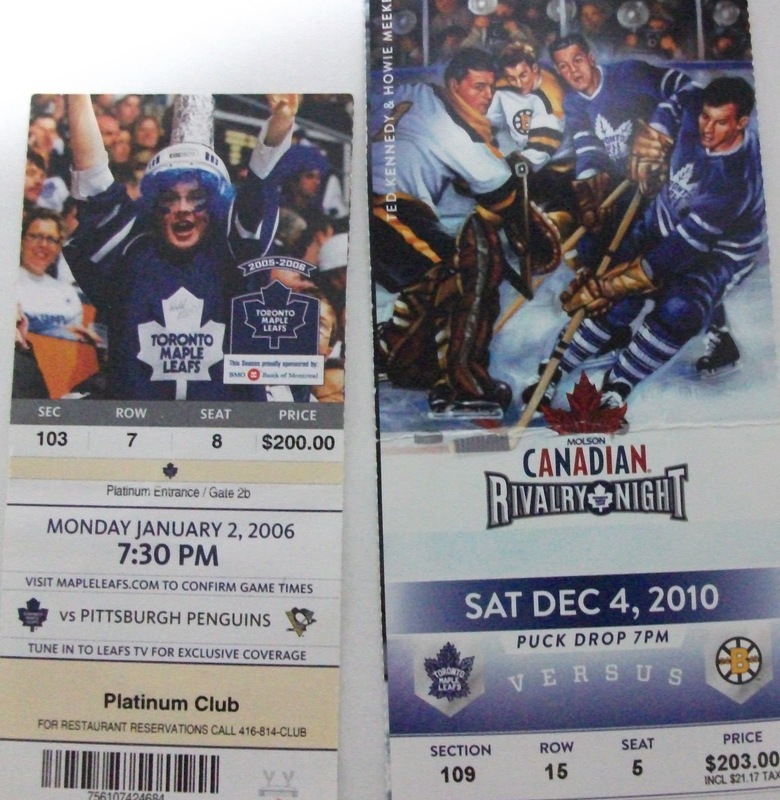 If I knew I was going to see my Maple Leafs, Argosor Blue Jays I wouldn’t stop thinking about it. I looked forward to it with the same nervous anticipation as Christmas Day. 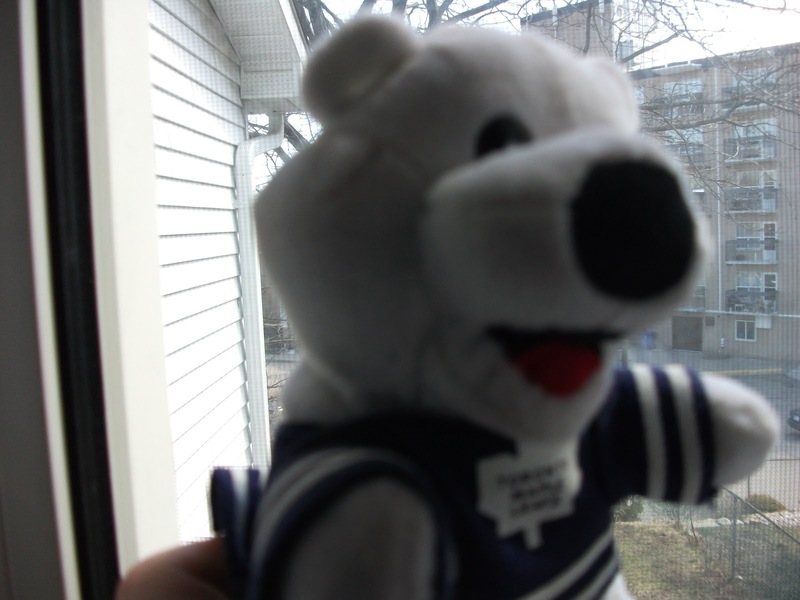 When I got to the Maple Leaf Gardens, or Exhibition Stadium I was giddy with excitement. My eyes were wide open to see everything. Whichever adult was with me probably wondered why I wasn’t walking in a straight line and bumping into everything. There was so much to see, so much too experience. I have such fond memories of the games, the excitement, the crowds, the energy, the snacks. I remember that at Maple Leaf Gardensthe cokes came with a cellophane cover instead of a plastic lid. I remember the idea of “family size cokes”, popcorn boxes and hotdogs. I remember most of the games I have been to. I remember my first Leaf game, my first Argo game, and I remember that first Blue Jay game. 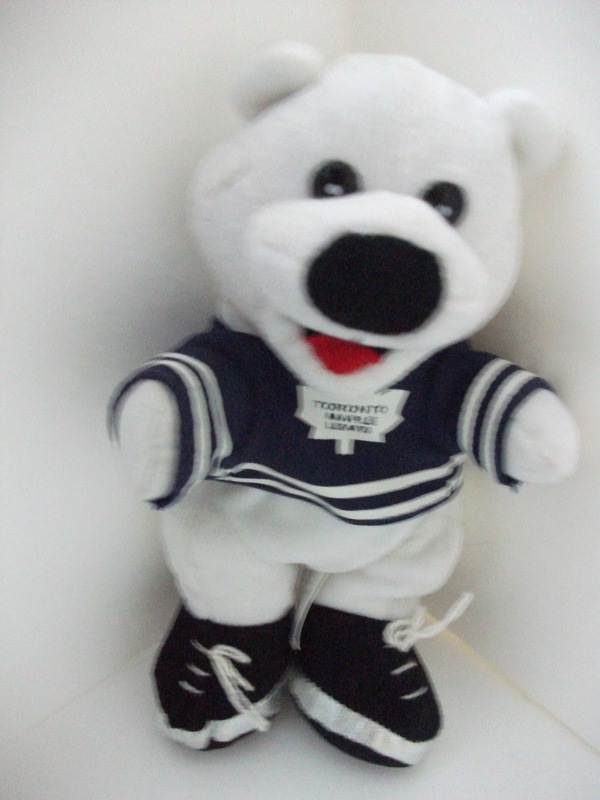 I even remember my first Marlie game (and the parade of flattened popcorn boxes that made their way down from the grey seats). 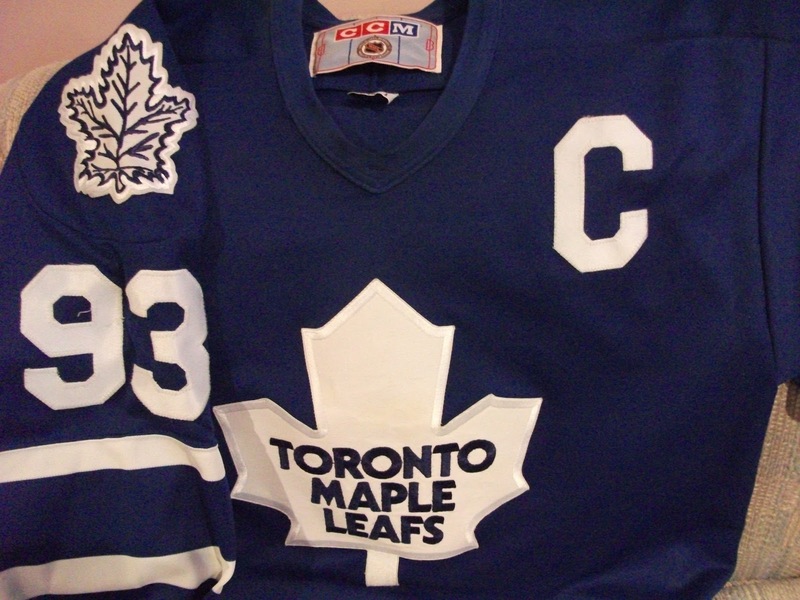 I started collecting Maple Leaf memorabilia that first game I went to. I still have the team photo and the puck from that game. I can’t imagine every parting with them. As you can see from the ticket stubs above, I don’t part with much. These days, though I have been to more than my fair share of games, I still sometimes catch that same sense of wonder that I had. When I go alone, I try to drink in the atmosphere as much as possible. I check the souvenir stands, I listen to the scalpers and the vendors barking at people and I wonder what kind of snacks they have. Printing technology has come a long way..so have prices. I hope it is no different today. I hope kids don’t take these great days for granted. I guess, for their parents, these moments must be magical. I don’t keep many of the ticket stubs these days. I am not sure why, but I guess there is something different about seeing a game as an adult and as a child. Things are different, but I would still go to a game at the drop of a hat. I would love to hear about any of my reader’s first pro sports experience. 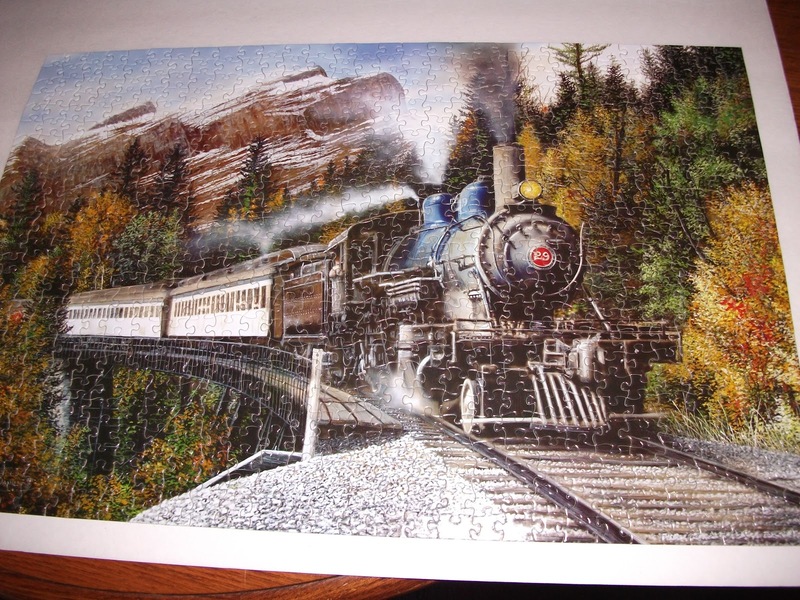 An unfinished jigsaw puzzle just seems to hang over my head. I usually do them in the guest room so I don’t have to look at them everyday. In fact, I might even “forget” about it for a while, giving me some respite. This time I opted for the dining room table, and paid for it. Every day it nagged me. Every day it harassed me. It taunted and tested me. Today, however, that taunting is over. It is done, and now there are many more important things to do. More housework, more studying, and occasionally more procrastination. Just one more piece. These are the famous last words of anyone hooked on a jigsaw puzzle. Okay, these aren’t the last words, these are just the words that cause them trouble. One more piece, then I will go to bed. One more piece then I will make dinner. One more piece and then I will… you get the idea. It is funny how something so simple can cause so many problems. Maybe that is precisely it. It seems so simple, but that one moment of searching for a piece can turn into hours. I remember once, a long time ago in a country far far away, I said to myself, just one more piece and then go to bed. The next time I looked at the clock several hours had gone by and my eyes were stinging. I guess that is just the way it is. I guess that is just what puzzles do.